Card Review: 9.5 The moving baseball graphic in the upper left of this card is about as whimsical as Upper Deck ever got with their design. I'm a fan of it. I also remember very much liking the wrappers for packs from this set. 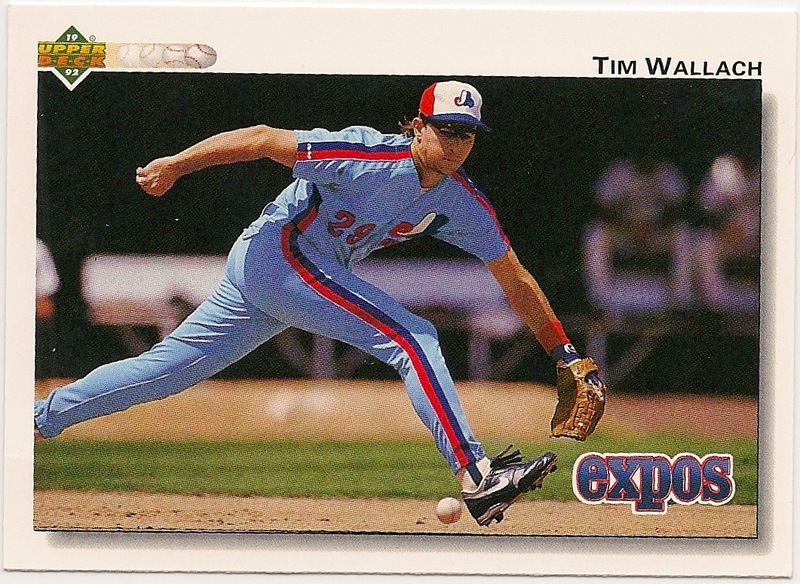 If I'm going to nit pick, I would have preferred the Expos "e" logo to the type written name on the front. 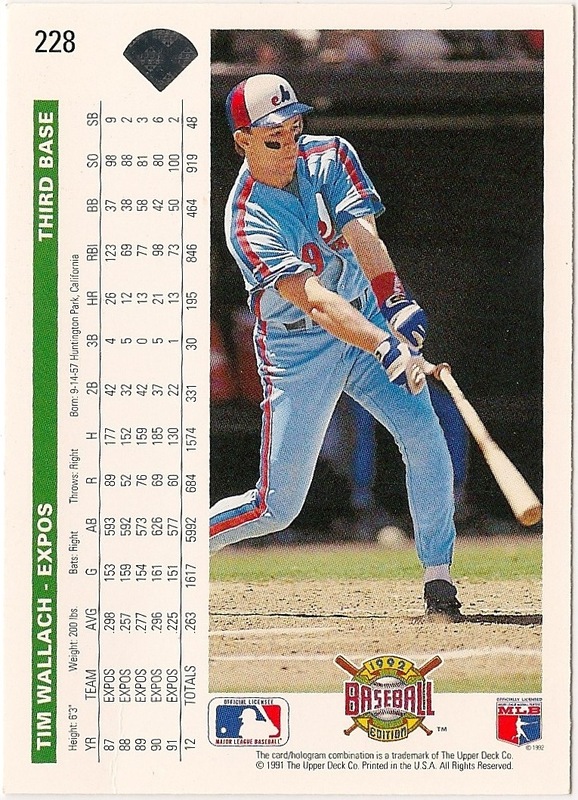 This is one of the rare profile cards of Wallach in a predominately vertical set.